I serve in two committees in my county's school district: Advanced Academics and Title One Parent Advisory Committees. 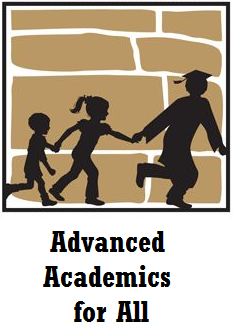 And it is interesting that one advocacy may actually fit in both: "Advanced Academics for All", since Title One schools are attended by students who are often underrepresented in advanced academic programs. 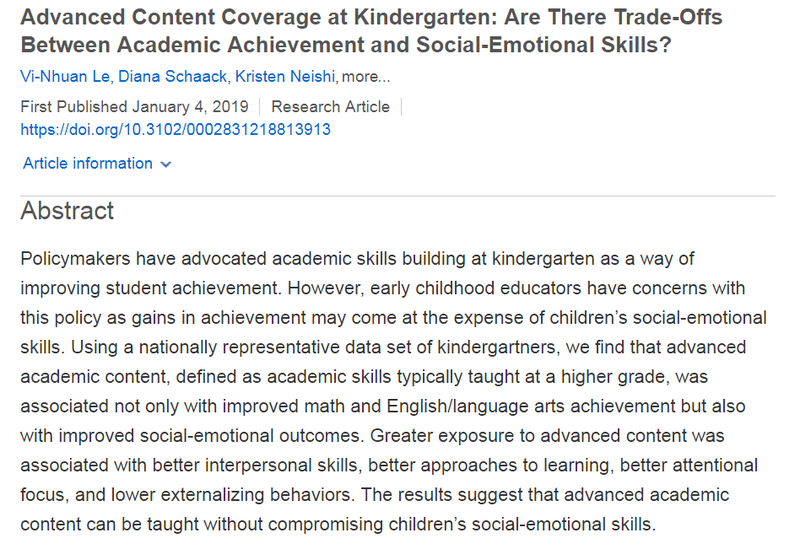 It may sound unreasonable but latest research actually shows that advanced academics actually help not just in math and reading, but also in developing social-emotional skills, for both low- and high-achieving children. 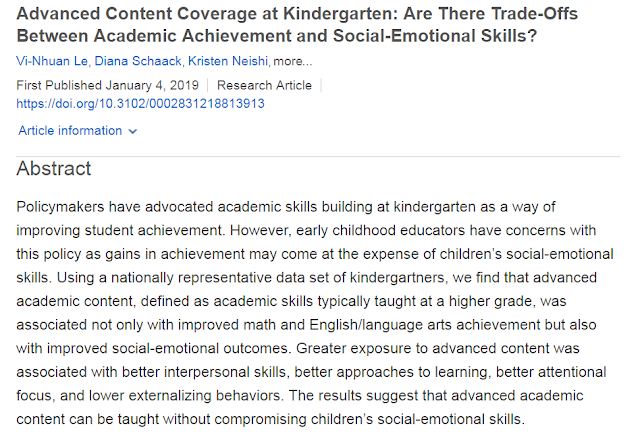 As the authors noted, their findings are counter-intuitive especially when the gains are substantial for children with low academic and social-emotional skills. Since this was simply a correlational study, the authors could only guess on what is behind the correlation. Their explanation was, "academically oriented teachers recognized that the advanced content would be particularly challenging to children with low readiness skills and therefore, provided them with additional support. Indeed, research suggests that teachers prioritize struggling students more often than they prioritize students with higher skills." And of course, raising expectations can raise achievement.